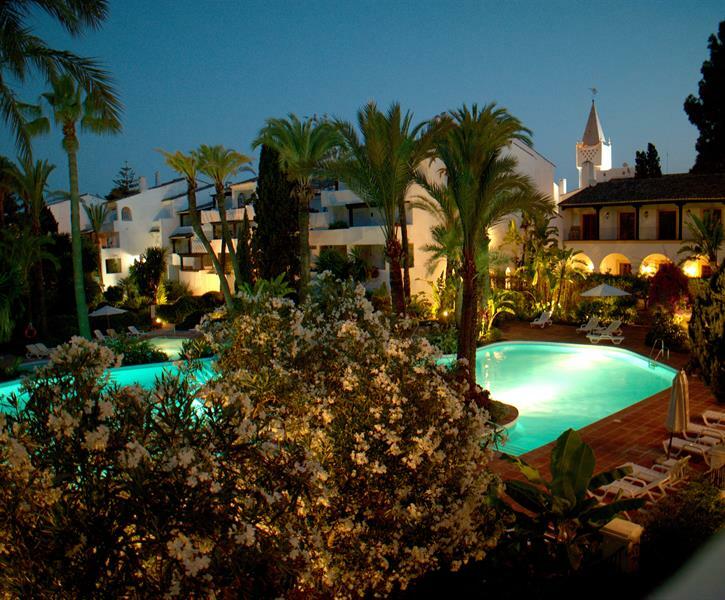 Luksuriøs lejlighed, alt inklusive, kun få meter væk fra de bedste strande i Marbella, med udsigt over de smukke fælles haver og pools. Bil ikke nødvendig. Restauranter / barer. The roofed terrace is equipped with two fans and 2 sun screens making it comfortable on warmer days as well. One bathroom offers next to a closet also a bidet. This luxurious apartment is situated in a prime location on the Golden Mile. The apartment has been furnished to a very high standard, with a contemporary and minimalist theme. The interior design, soft furnishings, shades and textures and appliances are very pleasing to the eye and seamless throughout, including the extensive terrace, which blends beautifully with the Andalusian style complex and tropical gardens. We loved the location of the apartment and the short distance to the beach. On several occasions we walked along the boulevard by the ocean, in both directions to the Old Town of Marbella and to Puerto Banus. We also visited The Alhambra Palace and The Generalife which was one of the highlights of our stay. Occasionally, we used the sunbeds by one of the pools. It is a very peaceful and quiet area to read and relax by, among the tall palm trees and flowering shrubs, just listening to the bird song and watching the tiny lizards curiously darting about their habitat At the end of each day, it just felt so good to go back to all the comforts and very easy to use kitchen appliances this beautiful apartment has. A very comfortable soft-firm mattress on the bed enabled us to wake up each morning feeling completely refreshed and eager to explore again. Correspondence from Debbie, during the booking process and information requested prior to travel was always received in a timely, friendly and efficient manner. Thank you so much Debbie. In the future, should we decide to return to Marbella, we would never consider staying anywhere else other than here. A traditionally built apartment completely refurbished to a high standard providing a superb base to enjoy Marbella and surrounds. A perfect home from home. Any small question was answered immediately by very helpful owner.